Our procedures for payment are lawful, simple, and secure. We do not levy concealed charges while presenting the invoice and make sure payment is carried out securely from you to us. To ensure the quality of the products, we conduct diverse quality tests at all stages and thus our products are quality assured. 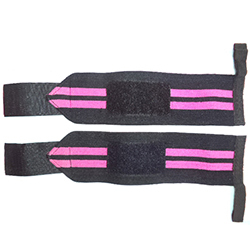 WB-206 Wrist Wrap With Thumb Loop are highly soft and comfortable and are largely used for various training purposes.